Book Selfie can be used by the self-publishing authors to promote their books, as well as to promote themselves as a self-publishing author. - Authors can animate their printed children's books and their stories can come to life with animations. 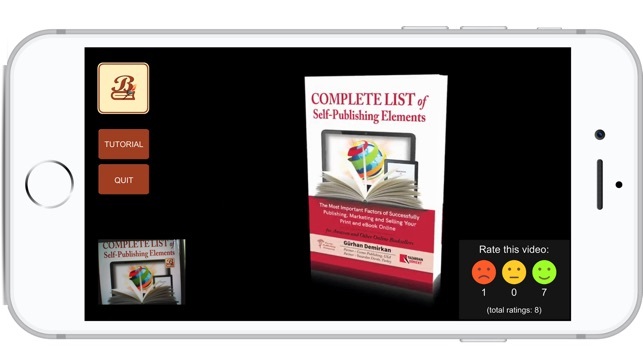 - You can bring your book listings to life on any of the distribution channels like Amazon, Barns & Noble, Smashwords, or Google Books) to promote yourself or your book. - You can use your social media accounts to make a statement to sell or promote your books. - You can easily disseminate any sales, marketing videos throughout the world.